Some of y’all would probably prefer Philadelphia’s City Council dedicate its time to locating that missing $33 million, finding more funding for schools, or legislating on a wide array of other issues that you deem most important here in America’s birthplace. Not me, though. Nope. As far as I'm concerned, City Council lived up to its calling to represent the people they were elected to serve with one simple unanimous vote at City Hall today, aka Thursday, October 25, 2018. Let’s just hope Gritty can now focus his attention on getting his professional ice hockey friends to start winning some games. Also, which City Council person will take the heroic next step of suggesting a sculpture of Gritty replace William Penn atop City Hall? Gym's director of communications, Melissa McCleery, said that Gritty was not on hand at Thursday's meeting "but we are working with the Flyers to set up another time for him to come in and receive the honor in person with a formal presentation." McCleery also noted that it was the first time the council has honored a Philly mascot, which must feel really damn insulting to the Phillie Phanatic, Franklin, Swoop and Phang. 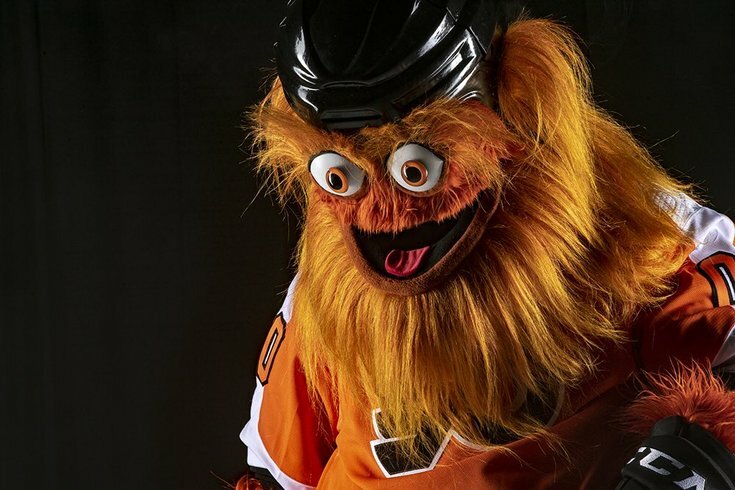 WHEREAS, Gritty may be a hideous monster, but he is our hideous monster; now, therefore, be it RESOLVED, That the Council of the City of Philadelphia welcomes Gritty, the new mascot of the Philadelphia Flyers, and honors the spirit and passion that Gritty has brought to the City of Philadelphia and to the entire country, both on and off the ice.